Dance Friday, and boy do I have a great dance video for you! Have you seen Mad Hot Ballroom? 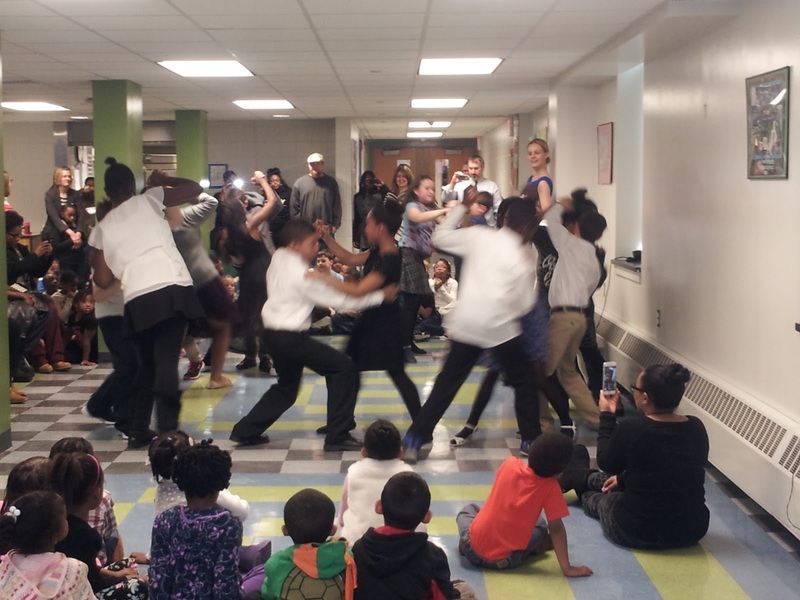 Those kids in NYC start a dance program and amazing things happen? Well, that program came to my school and they worked with our 5th grade, the students who happened to be my students last year. I watched today with tears in my eyes as these loving, thick-skinned darlings did the merengue, fox trot, and tango. Dance, people, it overcomes everything.